CyberLink YouCam 5 is a powerful set of tools which provides everything you need to get the most out of your webcam. 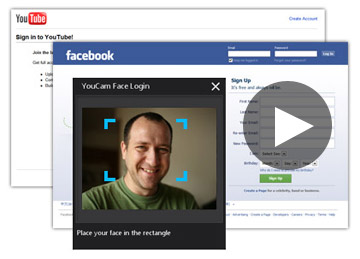 As with previous editions, the program has lots of fun tools to spice up your video chats. Special video effects can have snow fall in the background while you talk, place animated 3D objects in your hands, or replace you entirely with an avatar which tracks and reproduces your own facial expressions, amongst many other options. YouCam 5 now also includes many more practical features, though. So the Standard edition allows you to log in to Windows just with a glance at your webcam, as well as logging you into popular websites like Facebook, Amazon and eBay (no more passwords to remember). YouCam 5 Deluxe goes further and recognises when you're no longer in front of your computer, and can automatically lock your screen or hibernate your PC. You're able to create videos which can integrate with PowerPoint projects for more interesting and dynamic presentations. And both the Standard and Deluxe editions now fully support HD video both in their effects, and video recording, with a new ability to save HD video in H.264 format.